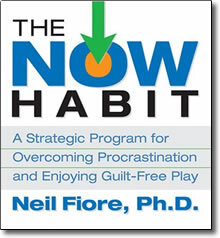 The first comprehensive strategic system for overcoming the causes and eliminating the effects of procrastination. Techniques to help any busy person get more things done more quickly, without the anxiety and stress brought on by delay and pressing deadlines. If you are a professional, manager, student, entrepreneur, writer, or homemaker, this audio book will help you achieve your goals more rapidly-whether they be large, complex challenges or the small, essential tasks of everyday life and work. If you now work effectively even though you have too much to do and too little time, The Now Habit will show you how to prioritize your goals to allow more time for guilt-free play.